McIntyre, who took the leadership reigns from Perry Crozier at the Centurion Centre gathering, said the NCHCA has grown to almost 250 members representing more than 10,000 workers since its establishment 38 years ago. 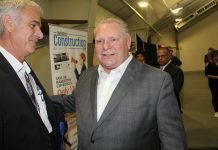 “The primary focus of our efforts over the past few years has been on promoting infrastructure investments in roads, bridges and sewer and watermain systems to municipal, provincial and federal governments,” he said. provides opportunities for members to socialize and network. McIntyre said the NCHCA has worked closely with the city to provide input into the VPM’s initial design “and will continue to provide insight into the design and implementation of the scoring system.” The NCHCA has established a committee, under Wade Cloutier’s leadership, to co-ordinate the association’s position and feedback, he said. NCHCA executive members for 2016-17 in addition to McIntyre include: Past president, Perry Crozier, IPEX Inc.; first vice president, Jim Flegg, Louis W. Bray Construction; second vice president, Stephen Turner, Ottawa Residential Consultants Inc.; and treasurer, Ray Shannon, Bradley’s Commercial Insurance. 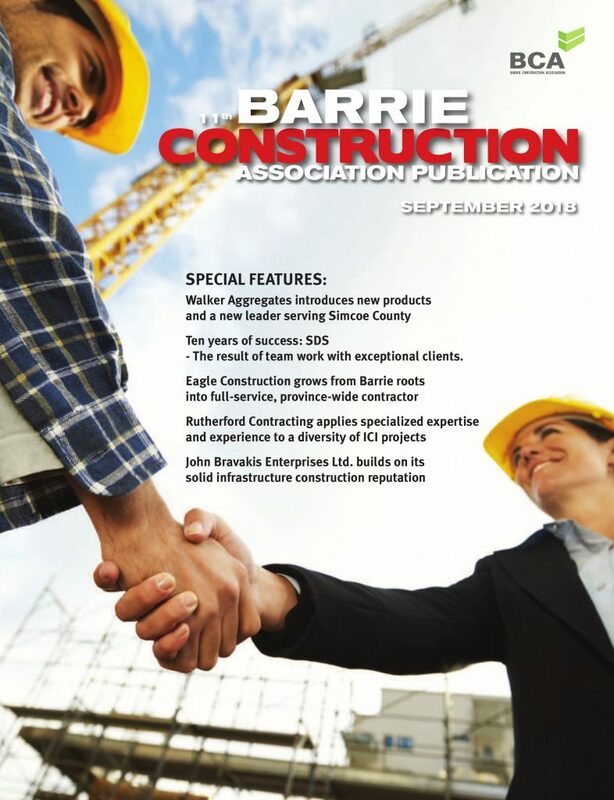 Other directors are: Darrin Alberty, Greenbelt Construction; Dennis Colautti, Colautti Construction Ltd.; Steve Goodman, Houle Chevrier Associates; Steve James, Thomas Cavanagh Construction Ltd.; Kevin Kiley, Coco Paving Inc.; Paul Lemire, C.A.C.E. 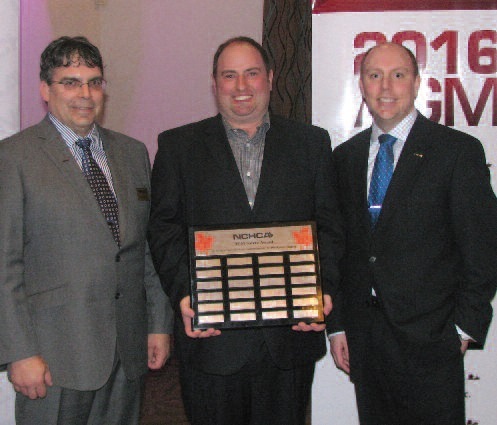 Construction Ltd.; Dave McClure, Toromont Cat; Steven McEachern, Karson Group; Russ Perry, R.W. Tomlinson Ltd.; Ezio Venza, Torus Construction Corp; and Rob Wallace, Taggart Construction. Non-voting representatives include Edson Donnelly of Novatech Engineering, representing the Consulting Engineers of Ontario, and Jeff Mulcock of Taggart Construction, representing the Ontario Sewer and Watermain Contractors Association. Ontario energy minister Bob Chiarelli was the AGM’s invited guest speaker.